This map shows the various starting points for our tours as well as guesthouses and airports. Many of our tours depart from Skinnskatteberg, a small town just two hours drive or train ride from Stockholm. We also have tours starting in Swedish Lapland. To find out where your tour begins please read the detailed information for each tour. There are three airports to choose from in the Stockholm region. Stockholm-Arlanda airport (ARN): This is the main airport in Stockholm. Travel time is 20 minutes to Stockholm Central Station, 2 hours to Skinnskatteberg and 3,5 hours to Bollnäs which is where we pick you up for transfer to the Brown Bear lodge. Rent a car at the airport or use public transport. If you choose to travel by public transport there is a shuttle bus to Västerås central station available outside the airport in connection to your arrival time. The fare for the shuttle bus is about 50 SEK one way, paid to the driver by credit card, no cash accepted and no reservation needed. The shuttle bus will take you to Västerås central station (a 15 minute drive) where trains and buses can take you to Skinnskatteberg where many of our tours take place. More information about trains and buses below. Take an airport bus to Stockholm or rent a car at the airport. If you are traveling with us to Swedish Lapland you can fly to Luleå. Luleå airport (LLA): This small airport in Swedish Lapland has several connections each day with Stockholm Arlanda airport (ARN). We meet you here for some of our Lapland tours. 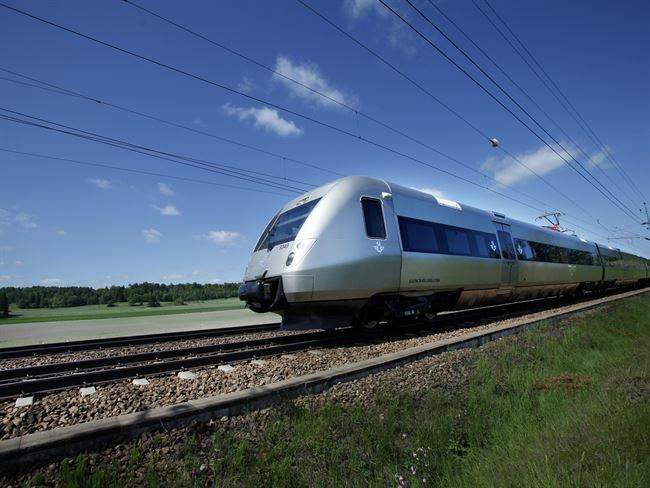 You can travel to Sweden by train or bus from most major European cities. There is a bridge between Copenhagen and Malmö, and there are ferry connections with Germany, Poland, Finland and Denmark. You can easily travel by train and bus to Skinnskatteberg. There are connections to Skinnskatteberg by public transport nearly every hour from most airports and nearby towns. Kolarbyn Ecolodge is located just 3 km's or 5 minutes taxi ride from Skinnskatteberg. Trains run from Stockholm Central Station to Köping (1 hour, 20 minutes), where a public bus (number 550) will take you to Skinnskatteberg (50 minutes). Another route is via Avesta-Krylbo. Just check www.sj.se and choose the train with the best connection for you. When you arrive in Skinnskatteberg a taxi can pick you up for the 5 minute transfer to Kolarbyn Ecolodge. Total travel time from Stockholm to Skinnskatteberg is about 2,5 hours. Tickets: Tickets for the whole journey may be purchased at any train station in Sweden, but you will save money if you buy your tickets on-line in advance. Driving in Sweden is easy. It also makes you flexible to explore a bit on your own. Roads in Sweden are in relatively good condition and there is not much traffic. There will be some gravel roads but there is no need for a 4×4 drive to reach the starting points on any of our tours. We always include a map, address with satnav-coordinates with your booking confirmation email. Rental car companies like Sixt, Hertz, Avis and Budget are available in most Swedish towns and airports. Use AutoEurope or Expedia to compare rates for rental cars. When you arrive at Arlanda you need to take a shuttle bus to get to the car rental centers. These shuttle buses leave frequently, the ride takes 5-10 minutes and there is a lot of room for large bags in the bus. Shuttle bus Beta takes you to Avis, Budget, Europcar and Hertz from terminals 2, 4 and 5. Shuttle bus Alfa takes you to Sixt from terminals 2, 4 and 5. You can easily walk (indoors) between the different terminals. However, some of the car rental companies may offer you to pick up the car directly at the terminal at an extra cost. We can help you to book a taxi transfer. These are example rates from Stockholm Arlanda airport or any hotel in Stockholm to any accommodation in Skinnskatteberg. For the best rates we recommend that you book and pay for the taxi yourself. If we book the taxi for you we are forced to add about 20% more taxes which makes it more expensive for you. You need a car to get here. Drive via Falun, Enviken, Svabensverk, Skålsjön and Skräddarbo. About 10km North of Skräddarbo you will see a sign pointing to Edsbyn, continue 1km past this sign until you see sign to Grännäs. Don’t expect any mobile phone coverage after this. Take right towards Grännäs, drive on gravel road 8,5km, follow sign towards Annefors, drive 2,5km, follow sign to Vargas Vildmarkslodge, drive 4km, follow sign Vargas. You are now at lake Stora Öljungen and Vargas Vildmarkslodge. you will see a small wooden sign Vargas. Follow that sign 5,5km and then follow sign Vargas Vildmarkslodge. You are now at lake Stora Öljungen and Vargas Vildmarkslodge. Drive via Bollnäs and Alfta. Just before you arrive in Annefors you will see a small wooden sign Vargas as well as a sign ‘Grännas 15’. Follow those signs for 4km, then follow sign Vargas Vildmarkslodge, drive 4km, sign Vargas. You are now at lake Stora Öljungen and Vargas Vildmarkslodge.